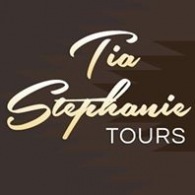 All Tia Stephanie Tours tours, river cruises, expedition cruises, and adventure trips. Find the best guided trips and expert planned vacation and holiday packages. Average rating of 0.0 for all Tia Stephanie Tours trips. Savor the singular Poblano Cuisine! Learn about the ancient pre-Hispanic site of Cholula. Visit “Talavera” or majolica tile workshop and showroom. Visit Atlixco, a charming town at the foothills of Popocatepetl.